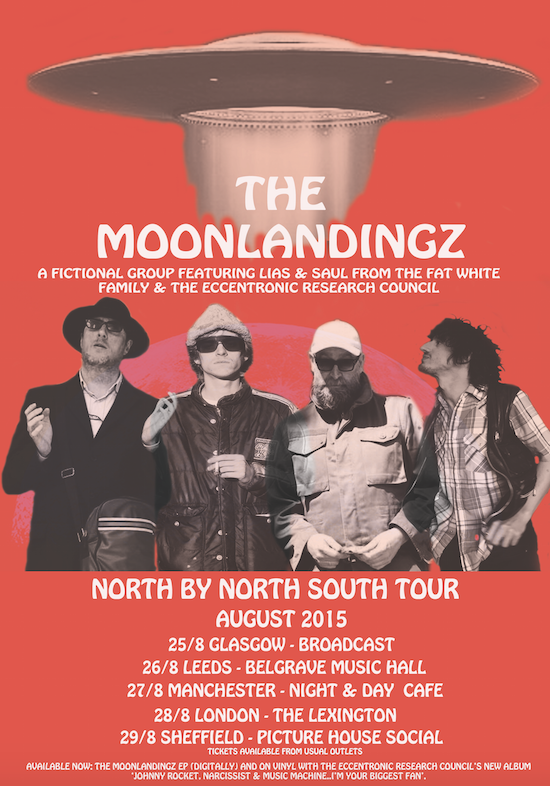 The Moonlandingz are set to embark on their first ever tour this August for a series of UK shows which will see the apparently “fictional group” featuring Lias and Saul from Fat White Family as well as The Eccentronic Research Council playing their first collective shows. The tour, dubbed the ‘North By North South Tour', will take in dates in Glasgow, Leeds, Manchester, Sheffield and just below tQ at London’s The Lexington which we will be presenting alongside those fine folks at the venue. You can pick up tickets for the show at the Lexington, which is on August 28, here and get more details on the Moonlandingz’ activities via Facebook and Twitter. Have a listen of ’Sweet Saturn Mine’ from the group above while you’re at it too. You can see the full list of UK tour dates below.